First, on Monday, came the judgment of the CJEU in the Wightman case. The CJEU ruled on the unilateral revocability of Article 50. In a judgment which emphasised the sovereignty of the withdrawing Member State, and its ability to decide whether its destiny lies within or outside the EU, the Court held that unilateral revocation is possible ‘in an unconditional and unequivocal manner, by a notice addressed to the European Council in writing, after the Member State concerned has taken the revocation decision in accordance with its constitutional requirements’. It confirmed that ‘the purpose of that revocation is to confirm the EU membership of the Member State concerned under terms that are unchanged as regards its status as a Member State’. For fuller analysis of the judgment, see here, and, with added Taylor Swift, here. Second, the Withdrawal Agreement and the accompanying Political Declaration on the Future Relationship have now been agreed. They represent the culmination of the Article 50 negotiations. I, with Clair Gammage, have analysed the Agreement here. In brief, we argue that the Agreement should be rejected by leavers and remainers alike. It offers a transition period, to the end of December 2020 (which may, by agreement, be extended to December 2022) during which EU law will continue to apply in the UK; while UK loses its voice in the EU institutions. Next, unless and until it is superseded (or even pre-empted) by a future relationship deal that guarantees that there will be no hard border in Ireland, the backstop kicks in. It creates a ‘single customs territory’ for the EU and the UK, and imposes a number of level playing field rules and non-regression standards on both Northern Ireland and, to a lesser extent, Great Britain. The UK’s membership of the single market, and with it the free movement of people, will end. The backstop is intended to be temporary, and the Political Declaration, using aspirational language, hints at future cooperation in a range of fields. That Declaration is not legally binding, and can be read as allowing a range of possible future relationships, from ‘Norway’ to ‘Canada’ (provided that such a looser trade relationship can be combined with the commitment to no hard border in Ireland). The deal has in some quarters been presented as the way to get Brexit over the line, or to put the issue to bed. It does nothing of the sort. Under the Withdrawal Agreement, we would be locked into a further cycle of negotiations with the EU, seeking to determine the nature of our future relationship. The difference is that the default would not be EU membership, or indeed no deal, but the backstop provisions. The key point for now is that, after what were at times acrimonious negotiations, the withdrawal agreement has been reached. As far as the EU side is concerned, the deal is done. There will, according to the consistent messaging from the Council, the Commission, and the Governments of other Member States, be no renegotiation. As Donald Tusk put it this week, ‘we will not renegotiate the deal, including the backstop, but are ready to discuss how to facilitate UK ratification’. It is important to realise that the Agreement is not (only) Theresa May’s deal, but also the end product of long negotiations by the EU, who have worked hard to reach a deal which accommodates, as far as possible, the UK government’s red lines. Of course, the EU accepts that much of the work relating to the future relationship is still to be done, but it has found a way to ensure that the withdrawal will be orderly, that the divorce bill will be paid, that the rights of citizens will be protected, and that there will be no hard border in Ireland. The combination of the Court’s ruling, and the EU’s political decision not to countenance renegotiations, should focus the minds of MPs in Westminster. There is little sign of that so far. What I term ‘renegotiation fantasies’ abound. Many of those who, with good reason, find fault with Theresa May’s deal, are suggesting that they are capable of articulating a better deal, gathering support for that better deal, and reaching agreement afresh with the EU. One is entitled, indeed bound, to express some scepticism about these claims. Take for example the Labour Party. To the extent that it is possible to discern its policy, it wants to negotiate a better ‘jobs first’ Brexit, with participation in ‘a’ customs union, ‘access to’ the single market and the ability to constrain the free movement of people and escape from EU state aid rules. There is no evidence that this is workable, that it commands strong popular support, or that the EU will agree to reopen negotiations on this basis. The same is true for some of those advocating for a ‘pivot’ to ‘Norway plus’. Among the advocates for ‘Norway plus’, many accept that it is only possible as a future relationship destination. They are therefore prepared to accept the Withdrawal Agreement (and the backstop), and are seeking a more definitive path to ‘Norway plus’ in the Political Declaration. Others though, seem to want to renegotiate the existing Withdrawal Agreement, and ‘escape’ from the backstop via a commitment for the UK as a whole to align with EU single market (and customs union) rules. While this proposal may well be workable, there is no evidence that this sort of option (in which free movement would continue) commands strong popular support, and, once again, no indication that there is the appetite on the EU side to renegotiate the deal on this basis. Some seek to argue that substantive renegotiation may be possible, on the basis that the UK can buy time by extending Article 50. First, it should be noted that while the revocation of the notification is possible unilaterally, extension (as stated in Article 50(3)) requires the unanimous agreement of the EU-27. Back in the summer, the indications from Brussels were that the EU would only agree to extend the Article 50 period in the event of a substantial shift in UK politics (see here). Now that the Withdrawal Agreement has been agreed, the EU’s position has hardened. There is, as stated above, little sign that the EU will, and little reason why the EU should, agree to extend Article 50, and reopen the negotiations, in order to allow the UK to refashion its Brexit offering. This, I believe, holds true, whether it is Theresa May who tries to plot a new course (see yesterday’s European Council Conclusions), another Conservative leader, or indeed, following a general election, a leader from any other political party or grouping. The dawning reality is that options have narrowed. The choice facing the UK is one between the Withdrawal Agreement (perhaps with a tweaked Political Declaration signalling a clearer path to a particular future relationship, and/or fresh ‘assurances’ about the temporary nature of the backstop), no deal, and revocation of the Article 50 notification. The efforts of ‘remainers’ have, thus far, been focused on trying to engineer a people’s vote (with a remain option), to enable the people to break the Parliamentary logjam. I have long been sceptical about the merits of the people’s vote. I wrote in August explaining that while I had no democratic objection to putting the Brexit question to the people for a second time, I could not foresee the circumstances in which Parliament would choose to legislate for a people’s vote. I also gave an indication of the problems which there may be in framing the question. The people’s vote campaigners have done a lot to breathe life into ‘remain’, and deserve huge credit for that. But the focus on the people’s vote has also, for some, for example within the Labour Party, acted as distraction, focusing attention away from making the case for remain. The mechanics of a people’s vote are, as for example shown here, complex, and controversial. The CJEU judgment has confirmed that ‘remain’ can readily be an option. But what about ‘leave’? Is Parliament willing to put the Withdrawal Agreement up against ‘remain’ in a people’s vote? Would there not be a case, given overwhelming Brexiter opposition to the Withdrawal Agreement, for including a no deal option? And of course, any people’s vote would require an extension to Article 50. While it seems likely that the EU would be prepared to grant an extension to Article 50 in order to enable a people’s vote to occur, it may well choose to impose some conditions (perhaps, for example, insisting that no deal is not on the ballot). Any extension which runs beyond, at the latest, July, would also have implications for the forthcoming elections to the European Parliament. And any people’s vote would likely be divisive. Recent experience in the UK of referendums, and the conduct of referendum campaigns, is not wholly positive (though there is much to be learned from Ireland). 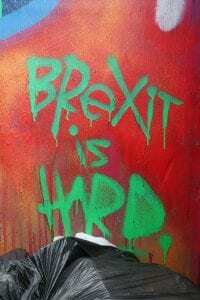 These difficulties aside, there are also political obstacles for those who are still holding on to their objective of delivering a better Brexit. What incentive is there for supporters of Norway plus, or for the Labour Party, to campaign for, or even to endorse, a people’s vote in which the various possible outcomes are all a long way from their preferred solutions? Once again, we come back to the stark choices. If the deal is rejected, the options are no deal, and revocation of the notification. No deal, variously badged as ‘managed no deal’ or a ‘WTO Brexit’, has strong support among Brexiters in Parliament, but it seems clear that there is no chance of commanding majority support. It would lead to a hard border in Ireland, and, is widely predicted to result in economic chaos. This recent report from the UK in a changing Europe makes for sobering reading. The key fact is this. The Government has, quite simply, not managed to come up with a vision of Brexit which is able to command sufficient support, either in Parliament or in the country. Brexiters have disowned the Withdrawal Agreement. Support for no deal is also very low. Parliament, in triggering Article 50 in March 2017, agreed to allow the Government to pursue and deliver Brexit. The Government, however, has not proved up to the task. It interpreted the will of the people in a very particular way. It did not reach out and try to build a consensus, either in Westminster, or in the devolved assemblies, or among business and the public at large. Instead it has suppressed impact assessments, and its Attorney-General’s legal advice. It did not engage in a productive way with the EU, seeking for example to build on the many areas in which the interests of the two sides converge. It has sought to marginalise Parliament. It has demonised opposition to its position on Brexit. I could go on. In short, it has, and in spectacular fashion, failed to deliver. Parliament should feel under no obligation to accept the Withdrawal Agreement. It can, legitimately, vote to revoke Article 50, and retain the UK’s status as an EU Member State. The result of a vote to revoke the notification will be that the UK is able to reconsider its position on Brexit. The Court’s judgment insists that revocation is unconditional and unequivocal. The Court emphasised the ability of a Member State to change its mind. My view is that were the UK to revoke the notice, there would be no appetite to restart the process. It would, I believe, be far better to focus on rebuilding its relations with the EU, and on seeking to mend the divided UK. But, it is entirely possible that, for example after the next General Election, a case will once again be made for a particular form of Brexit. The Labour Party may seek to argue for its own ‘better Brexit’. Others may coalesce around ‘Norway plus’. Were any particular option to command sufficient democratic support, it would be possible for the UK to trigger Article 50 again, and, having learned the lessons of the last years, begin to negotiate again. The country finds itself in an extremely difficult situation. This Government believes that its duty is to deliver on the will of the people. The results of its efforts – the Withdrawal Agreement and the Political Declaration on the Future Relationship – fall far short of the claims which were made for Brexit in 2016. Parliament seems not to be prepared to endorse either the Agreement, or no deal. There is no time, or appetite on the EU side, for renegotiation. A people’s vote seems fraught with difficulty. Might it be that the simplest option – Parliamentary revocation of the Article 50 notification – is, from a range of different perspectives, also the best? Well argued. The simplest solution is indeed for Parliament to just revoke Article 50. It would be controversial but probably less decisive than a referendum. The best part of this solution is that it keeps all options open. There is always the possibility to negotiate a proper Brexit at a later stage, or to persuade the rest of the EU to make some changes that would do away with the arguments to leave. What about the enshrining in law of the withdrawal act what would happen if we revoked wouldn’t it need legislation ?